Coillte has planted over 260,000 non-native conifer trees in Ireland’s first official wilderness zone over the past four years despite agreeing to phase out commercial forestry in the area in 2013. 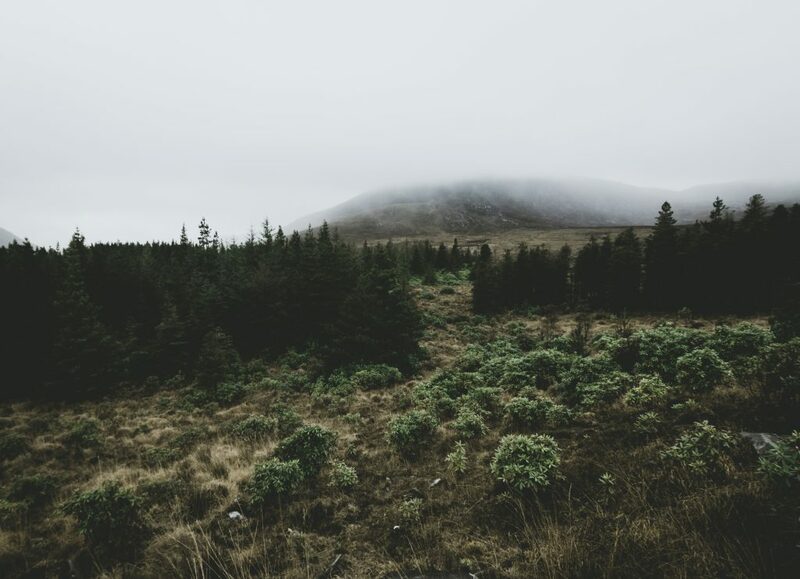 A plan to phase out planting was agreed in a 2013 Memorandum of Understanding to establish the Wild Nephin rewilding zone in Co Mayo between the semi-state forestry body and the National Parks and Wildlife Service (NPWS). Data obtained by The Green News through an Access to Information on the Environment (AIE) request, however, reveals that just over 260,000 conifer trees have been planted in Wild Nephin since 2014. An equivalent amount has also been harvested during this period, according to Coillte. Although the number of conifers planted and harvested dropped following the initial launch of the project from 150,000 in 2013 to 18,000 in 2014, Coillte has turned-over an annual average of 81,000 conifers in the past three years. Almost 90 per cent of the conifers planted since 2014 were non-native lodge pole pines, with sitka spruce plantings making up the remaining 12 per cent. The data released by Coillte shows that just 25,000 native trees have been planted since 2014 with birch, rowan, and alder the most abundant. Oak and beech have been planted in smaller numbers. The 11,000-hectare wilderness zone in the Nephin Beg mountain range is made up of land from Ballycroy National Park and the 4,600 hectares of Coillte conifer plantations. After the announcement of the project, Wild Nephin received international acclaim and extensive media coverage, with then-Taoiseach and Mayo native, Enda Kenny, visiting the site together with NPWS and Coillte representatives. 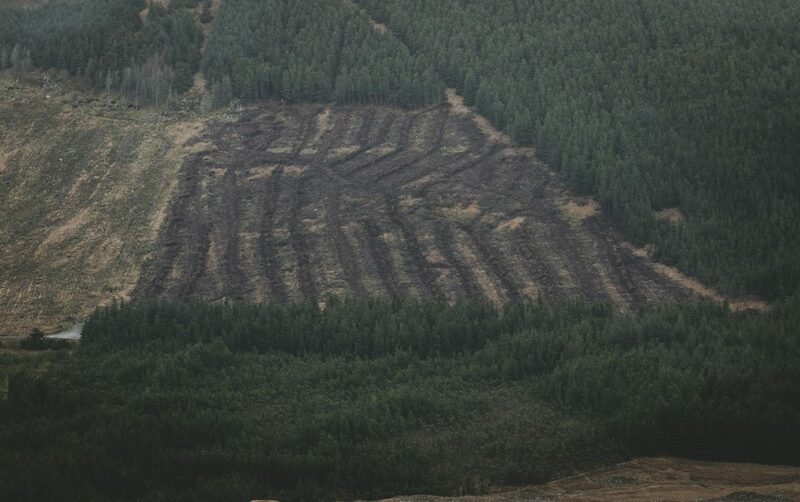 An initial period of ecological restoration was carried out in a bid to allow nature to reclaim the land, including the thinning of plantations, blocking of drains on sections of bog and planting of some native trees. Experienced Mayo hillwalking guide Barry Murphy said, however, that the project was clearly a publicity stunt and that the area is a wasteland rather than a wilderness zone. “Coillte are really only doing all of this as a token gesture” added Mr Murphy, a vocal critic of the implementation of the scheme. Responding to the data released by Coillte, he said that the planting of some native trees on a “tiny area within the site” is anything but a “genuine” rewilding project. In a statement, Coillte said that the removal of forestry has focused on “opening vistas onto the mountainous terrain and lakes” as well as improving boundaries between forests and adjacent open land and preparing areas for bog and riparian zone restoration. “Forest regeneration, supported by tree planting, also aimed to encourage natural regeneration and harvesting activities which took place fitted within the overall objectives of improving landscape and habitat quality,” the statement continues. Minutes from meetings of the Wild Nephin Management Group – made up of representatives from Coillte and NPWS – released under AIE regulations also reveals that rhododendron has been a major problem in recent years. Introduced into ireland in the 1850’s as an ornamental plant, the evergreen bush prevents light from reaching plants on the forest floor and can impact on native woodlands and their ability to regenerate. Rhododendron spreads prolifically, with one flower head alone capable of spreading up to 7,000 seeds, leaving many parks such as the Killarney National Park facing an uphill struggle to control the species. The minutes of a Management Group meeting from February 2016 states that it would cost an estimated €8 million to control Rhododendron in the Nephin zone. In comparison, the total NPWS budget for 2017 is €11 million. The Management Group concluded at the same meeting that the likelihood of ever receiving appropriate funding to tackle the invasive species in the area was “practically zero”. Denis Strong, a senior divisional manager with NPWS told The Green News that rhododendron remains a “major challenge” for Wild Nephin. He added that control of the invasive species will be needed “indefinitely”. It was announced earlier this month that Coillte’s 4,600-hectare portion of Wild Nephin will now be incorporated into Ballycroy National Park. According to Coillte, the NPWS will manage the transfer of land and put in place a “public amenity conversion plan”. “Any forest operations that Coillte undertakes as part of the conversion plan will occur in full consultation with the National Parks and Wildlife Service,” the semi-state added. Mr Strong is adamant that the rewilding project will continue with a focus on “biodiversity enhancement” and that commercial forestry will stop completely. The Wild Nephin Conversion Plan, which will guide the project over the next 15 years, is due out in February 2018. James is The Green New's Biodiversity Reporter and a wildlife and landscape photographer based in Dublin. James has a BA in Zoology from TCD.